The Dolphin, pride of America's nuclear fleet, is the only submarine capable of attempting the rescue of a British meteorological team trapped on the polar ice cap. The officers of the Dolphin know well the hazards of such an assignment. 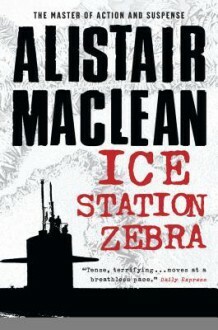 What they do not know is that the rescue attempt is really a cover-up for one of the most desperate espionage missions of the Cold War  and that the Dolphin is heading straight for sub-zero disaster, facing hidding sabotage, murder . . . and a deadly, invisible enemy . . .